Look at who made it to Curbed Seattle! Nice work compdude787! Some pictures of the Tacoma from February 23rd. Since I had the fisheye for this trip I focused on those perspectives that the fisheye makes awesome. Boarding the ship. Notice how I used a narrow aperture to make the lights sunstars. The bridge and the bridge wing. Spaulding style. The Library. It's nice seeing the usual perspectives with a wider angle. 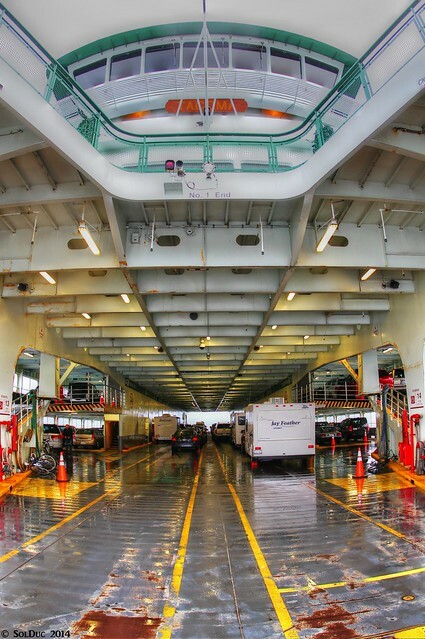 Finally, the car deck. It was the day of Chilly Hilly, so there were a much higher number of bicycles onboard. 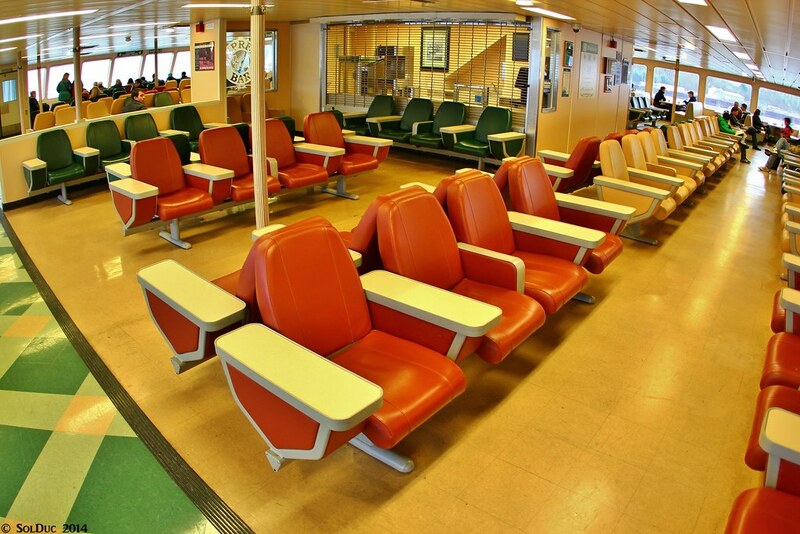 However it was easy to make the distinction between regular ferry riders and others. The regulars used the ropes on the side of the walls to keep their bikes upright while the rest just left them there. It was the day of Chilly Hilly, so there were a much higher number of bicycles onboard. 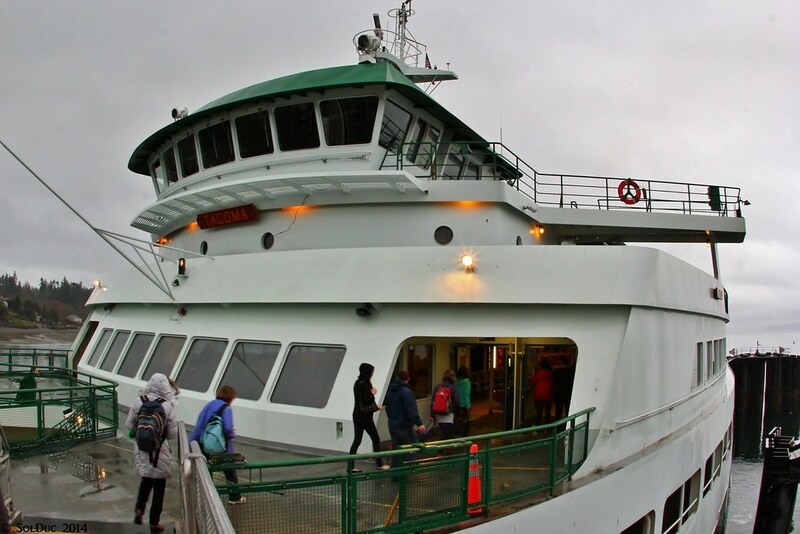 However it was easy to make the distinction between regular ferry riders and others. The regulars used the ropes on the side of the walls to keep their bikes upright while the rest just left them there. Heavy bike traffic is always a challenge. Once we run out of bike lines, it gets messy quickly. More than once I've told dock staffers, "you have fifty bicyclists? Okay, please take four car spaces off of your allotted quota..." and then the fun of trying to get a few dozen bicyclists to gently stack their bikes up begins. 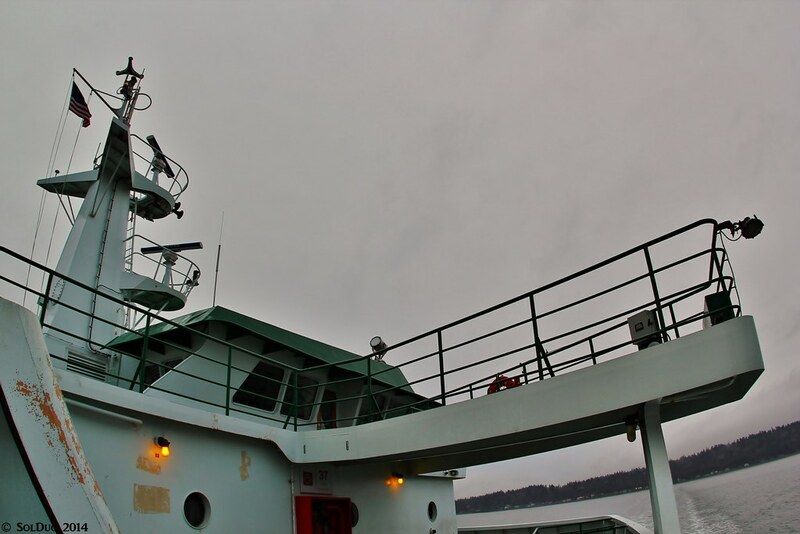 A couple shots of the MV Tacoma, from the Spirit of Kingston, taken last Friday (3/7/14). Away to Bainbridge on her first sailing on the day. Yes, first sailing of the day because on Sundays one of the two Sea-BI boats goes into refueling at Harbor Island, which requires the cancellation of the sailing from BI. 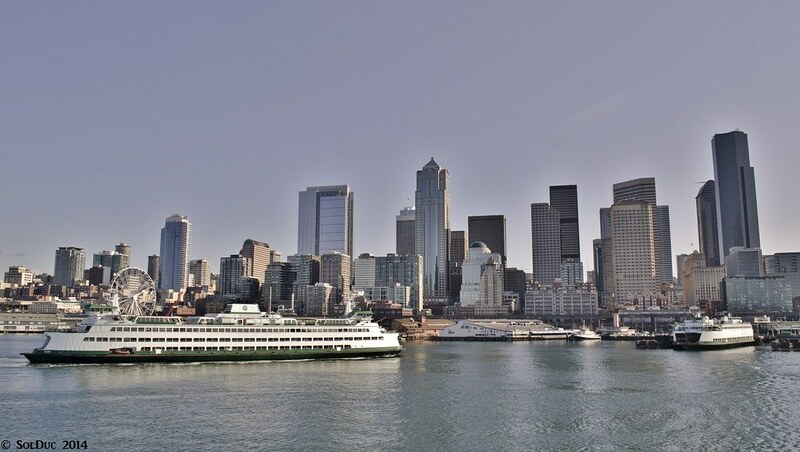 Once the ferry is refueled it goes to Seattle to start its day. And yes, the boat is rusty. Your images don't seem to be showing up properly. Could you fix them? This just in: the Tacoma has lost power and has had to drop its anchor to keep from going aground. 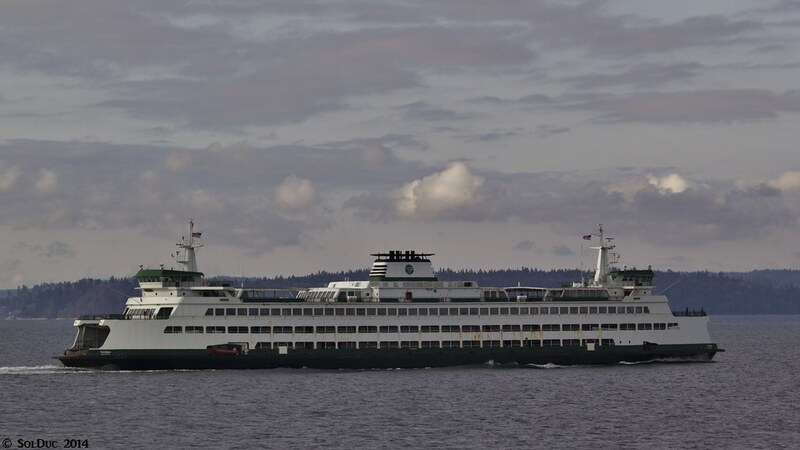 The Sealth is going to attach a stern line it seems to keep it from going aground. 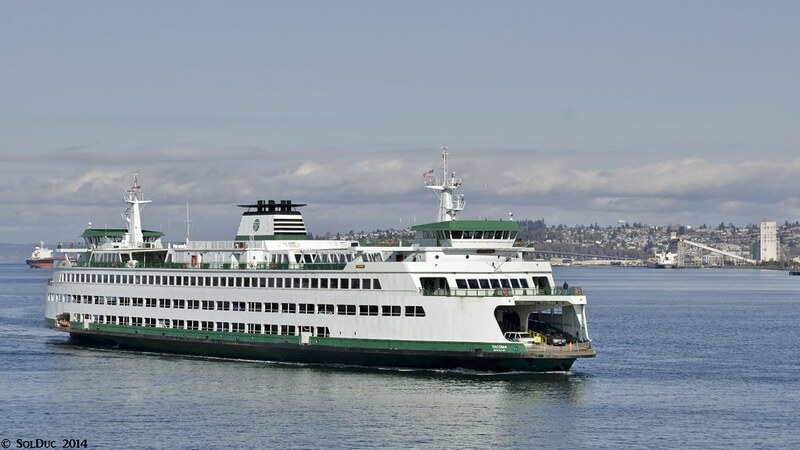 BAINBRIDGE ISLAND, Wash. - A state ferry on the Seattle-Bainbridge Island route has lost power and is adrift in waters of Puget Sound. 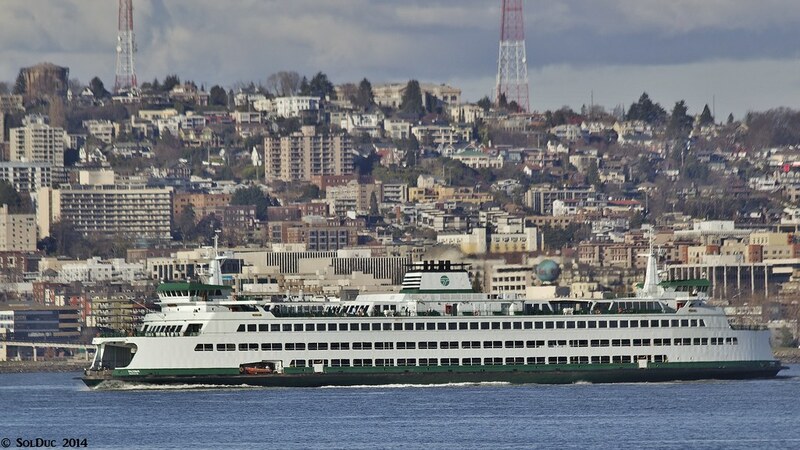 The ferry Tacoma lost power just outside Bainbridge Island's Eagle Harbor and is drifting near the shoreline to the south. 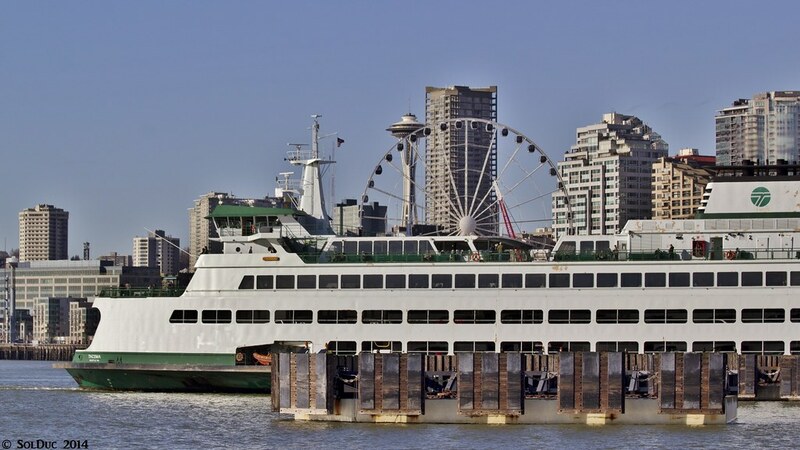 The ferry Sealth, on the Seattle-Bremerton route, is on its way to the stranded ferry to assist. 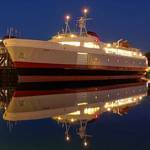 Passengers aboard the Tacoma reportedly were told to don life jackets as a safety precaution. 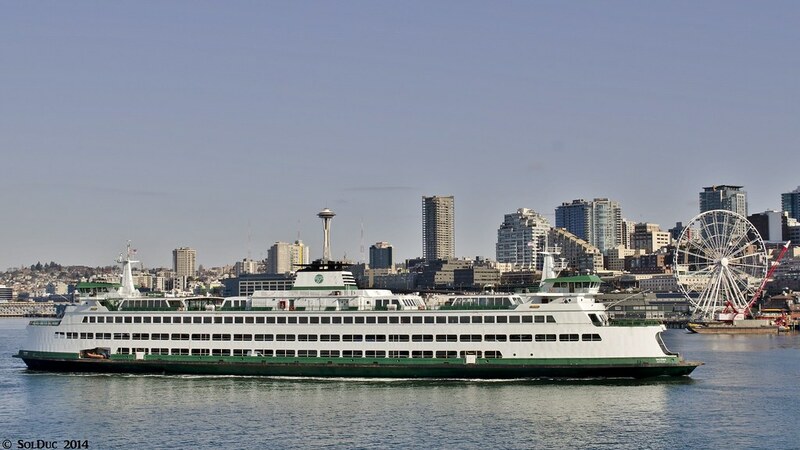 In other news, WSF is negotiating with the current owners of Rhododendron, for her emergency return to the Evergreen Fleet, to fill in on the Bremerton run, after the next vessel shuffle. Tug "Lindsey Foss" is on the scene, and is likely towing Tacoma now. - WSF needs to plan their breakdowns better. might as well send her to Vancouver too! They need it get the Yakima running! 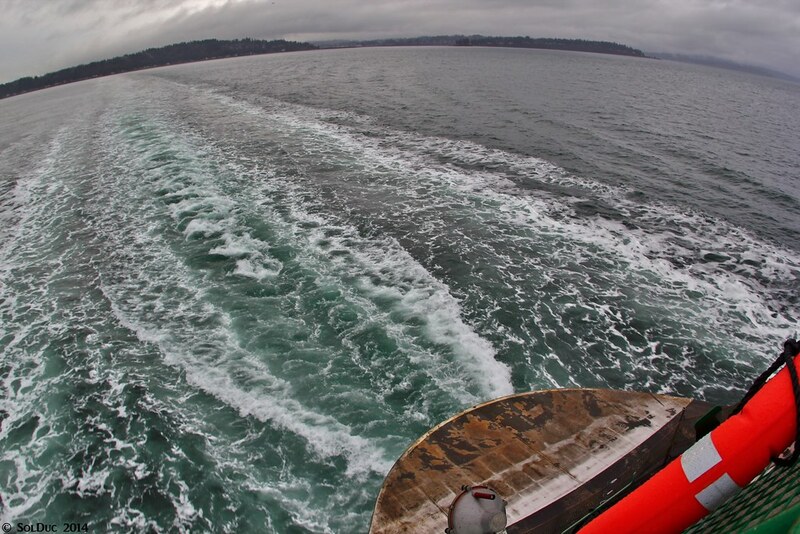 Some pretty cool photos of the Sealth coming to the rescue and all the passengers standing on the bow of the Tacoma watching the tugs hook up. From the tracker it looks like they are trying to push her into a berth a Bainbridge to get the passengers and cars off. They have two berths their so they can probably just tie her up in one "for the time being." 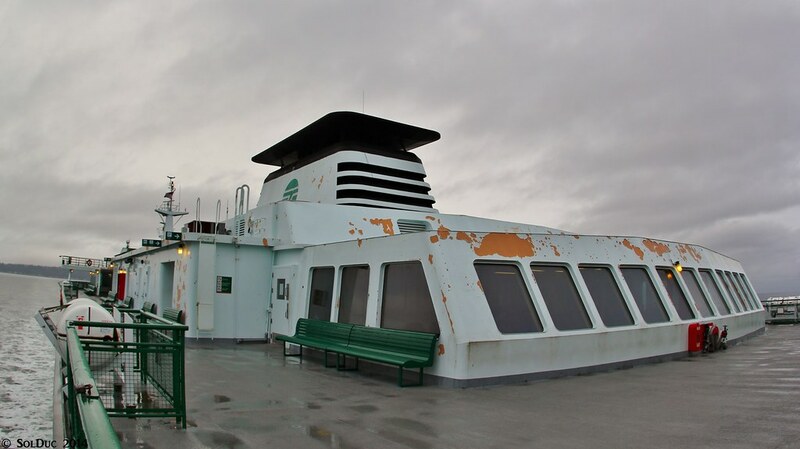 The KULSHAN without engines (they're going to be placed aboard the SANKATY once the KULSHAN is retired by the SSA). You'll need tugs to tow a load of cars across the sound aboard the engine-less KULSHAN. If traffic gets bad, they can use Tacoma as a barge, pulled/pushed by a couple tugs as she travels her regular route. ....yes, this is satire. But if it was good enough for Smokwa, it should be good enough for Tacoma. Reminds me of that one ferry in BC that also needed a tug...hmm, I wonder which one that would be? The Tacoma, which had landed at BI's slip 2 earlier is currently being towed over to the maintenance facility for repairs. 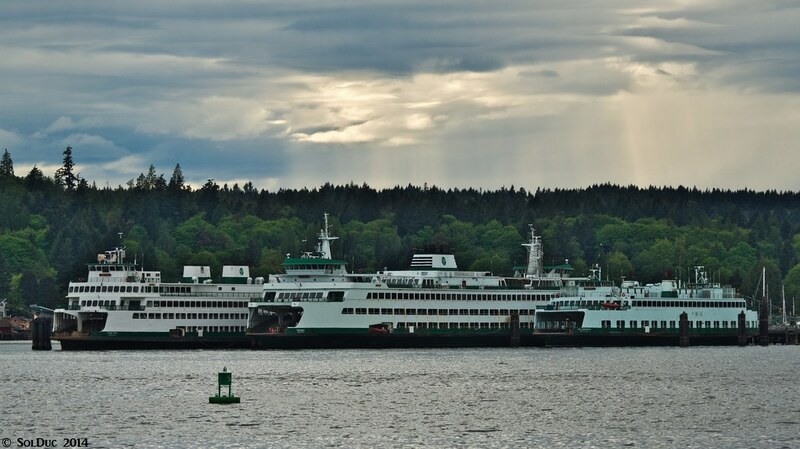 Hope they can fix it back for tomorrow or Vashon or Bremerton are going to end up in serious trouble. 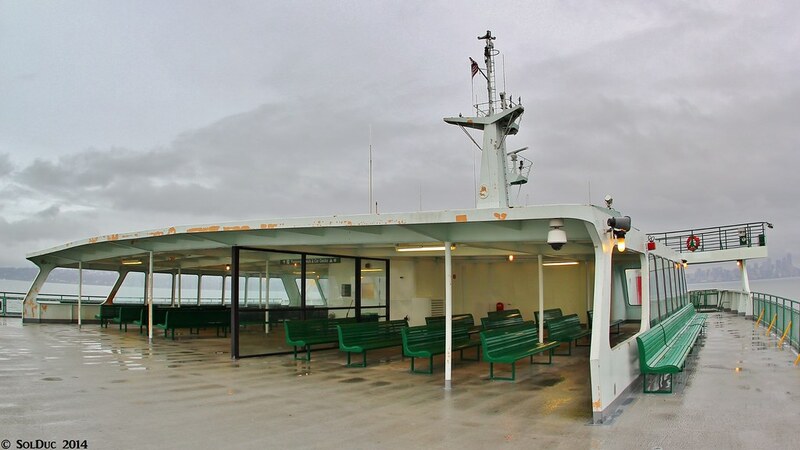 Watch the Klahowya break down tonight - like back in December 2012.
maybe bc ferries can lend wsf the Chilliwack seeing she ain't doing anything! All those pictures and video of Sealth towing Tacoma are pretty phenomenal. Can't ever remember anything like that happening.